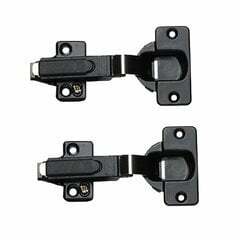 This Pocket Door slide is ideal for use on systems with door weights of 30 lbs or less. This pocket door system is designed for use on pocket doors weighing up to 30 pounds with a maximum door height of 42" and width of 24". 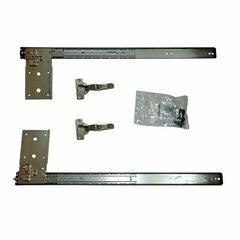 KV 8080 Pocket Door with Hinges 12"
KV 8080 Pocket Door with Hinges 14"
KV 8080 Pocket Door with Hinges 16"
KV 8080 Pocket Door with Hinges 18"
KV 8080 Pocket Door with Hinges 20"
KV 8080 Pocket Door with Hinges 22"
KV 8080 Pocket Door with Hinges 24"